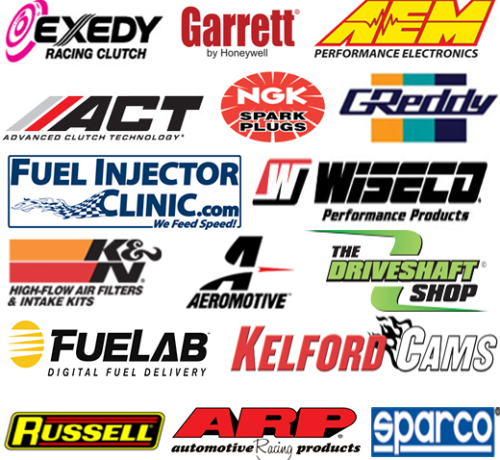 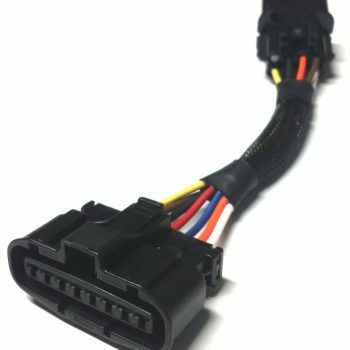 Now offering plug and play to both stock ECU or MOTEC, If you have a Motec ECU you will need this firmware to control things like your ACD/AYC. 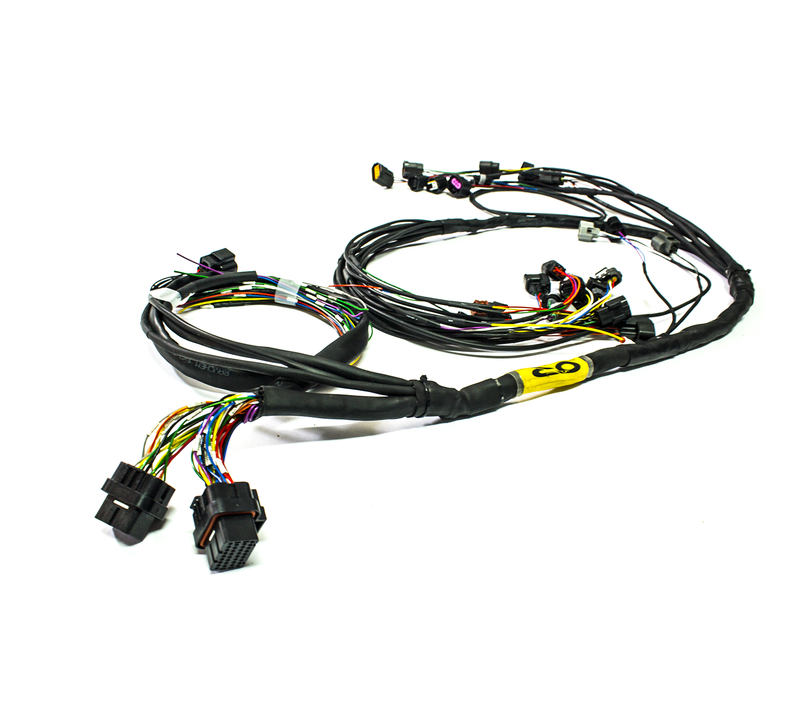 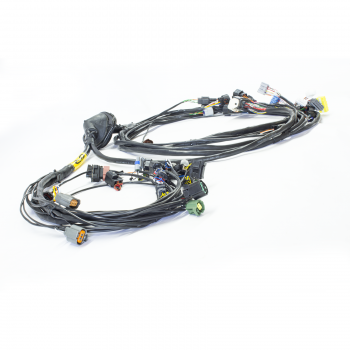 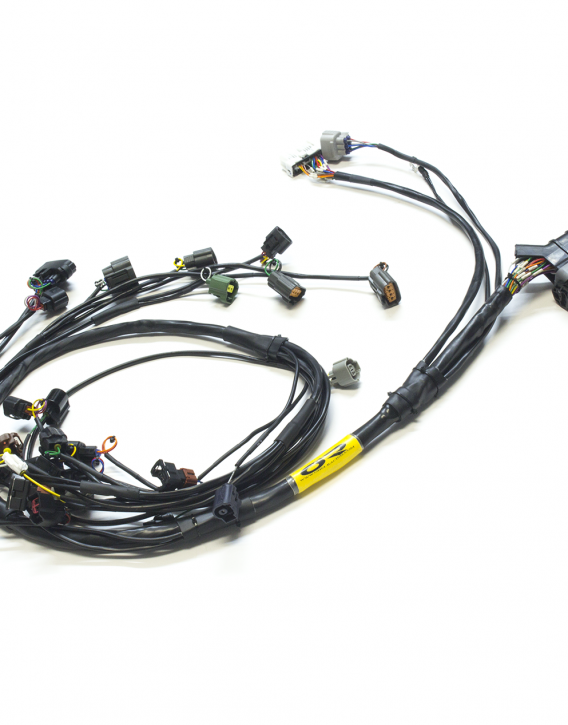 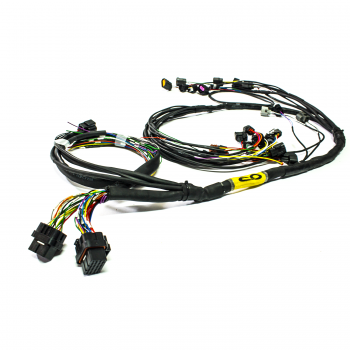 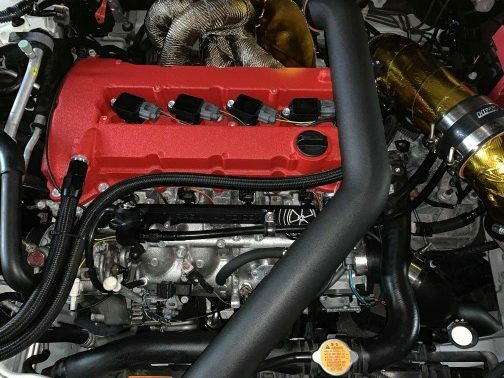 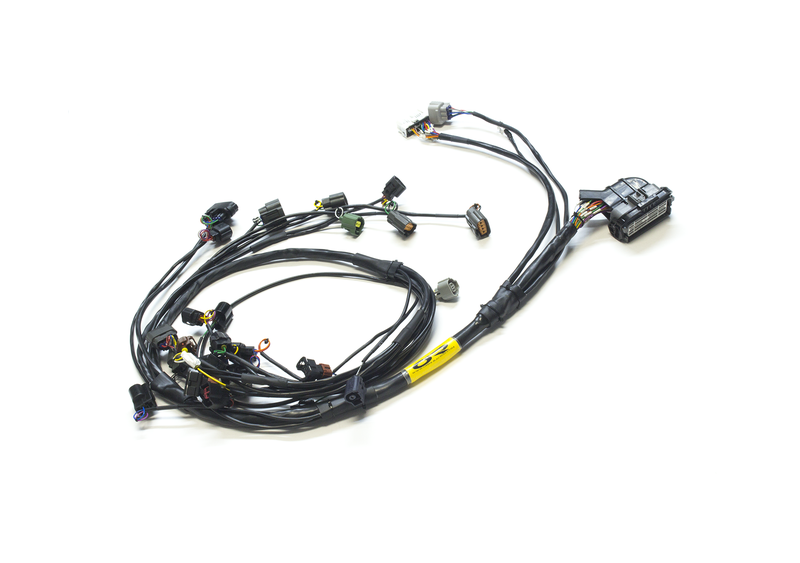 The Mil-Spec OHM Racing Plug & Play Wire Harness offers Mil-Spec Tefzel wire ranging from 16AWG to 22AWG and brand new pins seals and connectors. 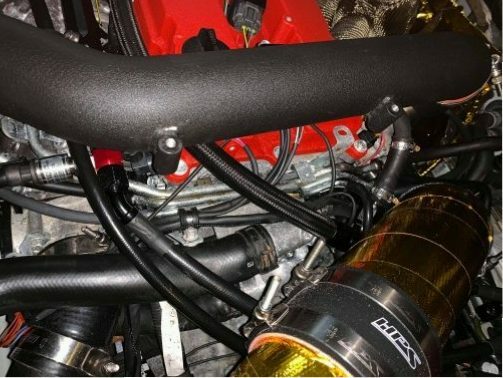 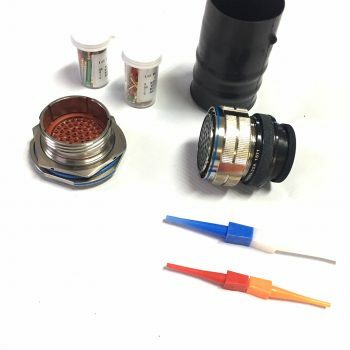 The Tefzel coated wire is loomed with Raychem DR-25 heat shrink protection, Raychem boot, and Raychem ES-4 adhesive lined junctions. 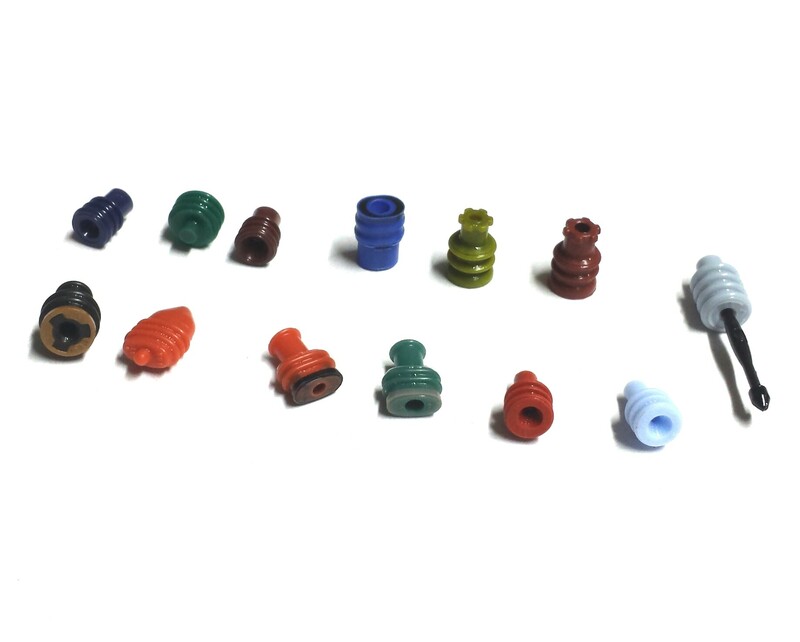 Each brand new connector is crimped with pneumatic heads to ensure an OEM crimp, and labeled with a identification label. 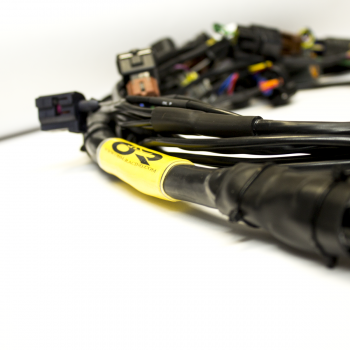 All heavy interference circuits are protected and grounded properly and no soldering is used at all on this harness (soldering can crack on vibration) only KET open barrel splicing everywhere its needed covered with adhesive heat-shrink as well, we even took the time to label every single wire for you. 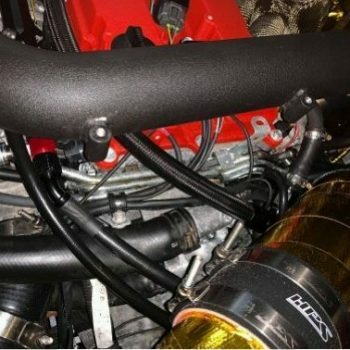 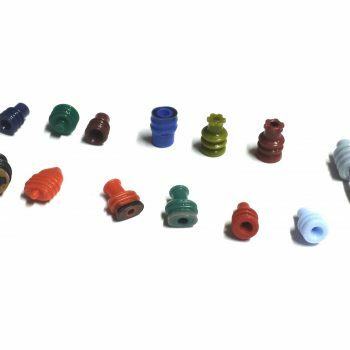 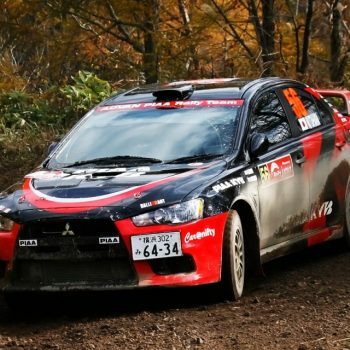 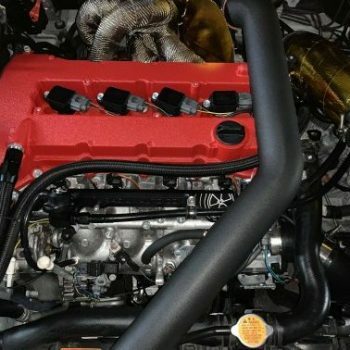 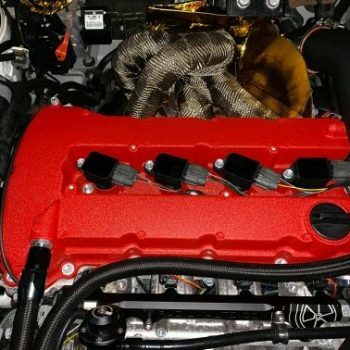 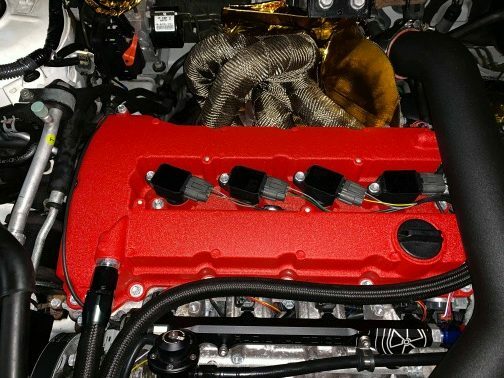 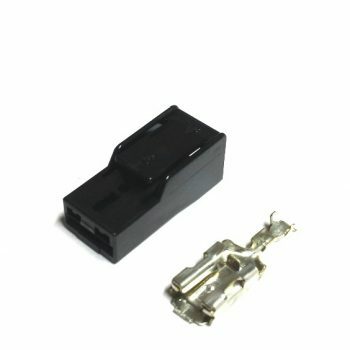 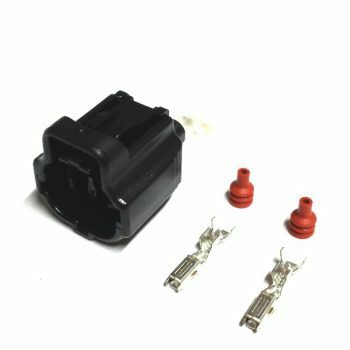 If you need any extra aftermarket connectors let us know and we can add them for you for a small fee.